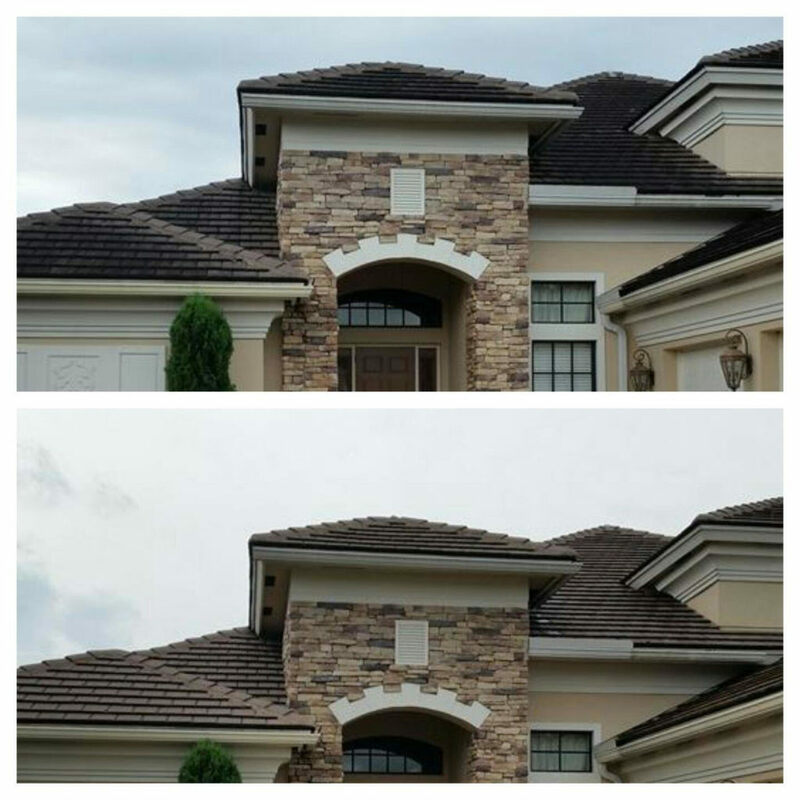 HOA Letters? City Violations? 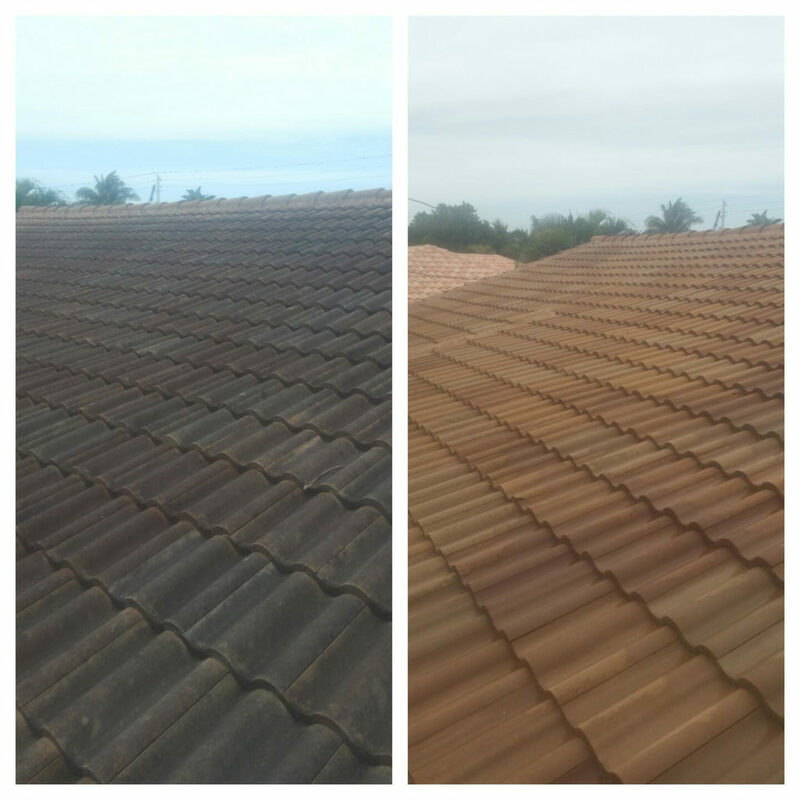 Or just a dirty roof? Sometimes you may wonder what those black streaks on your roof are from. It is a type of algae called Gloeocapsa Magma that feeds on the crushed limestone used in tile roofs and asphalt shingles. 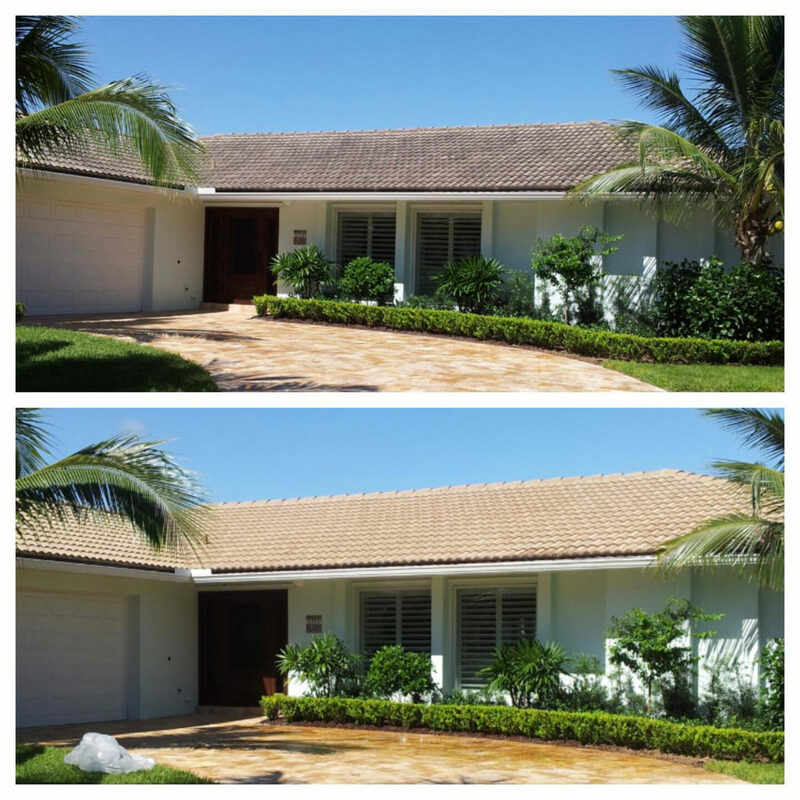 It is a type of algae that thrives in humid and warm climates such as our beautiful South Florida weather. 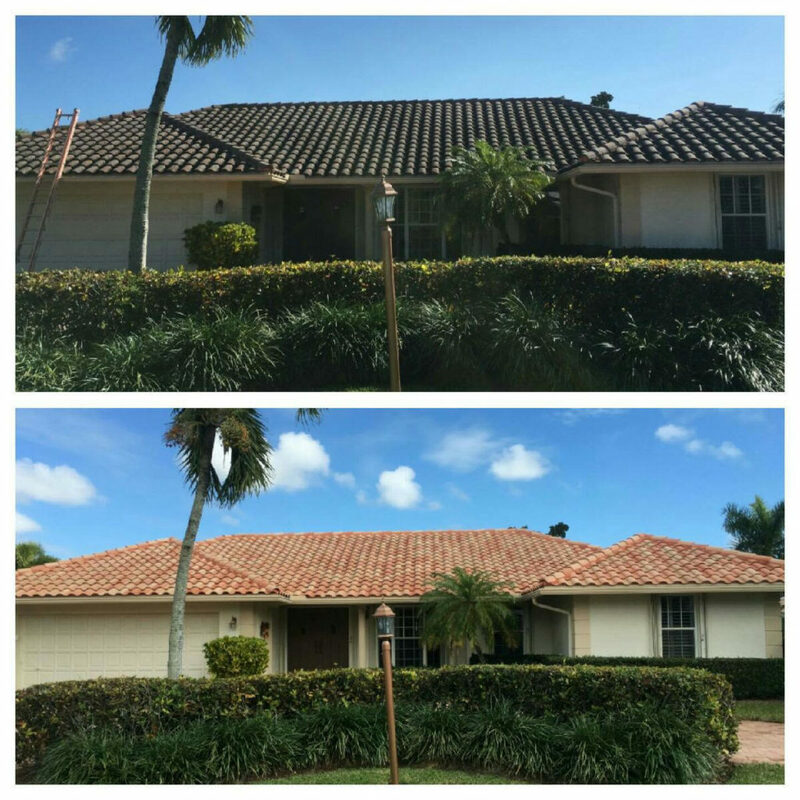 Rain then spreads the algae down the roof causing the black streaks. 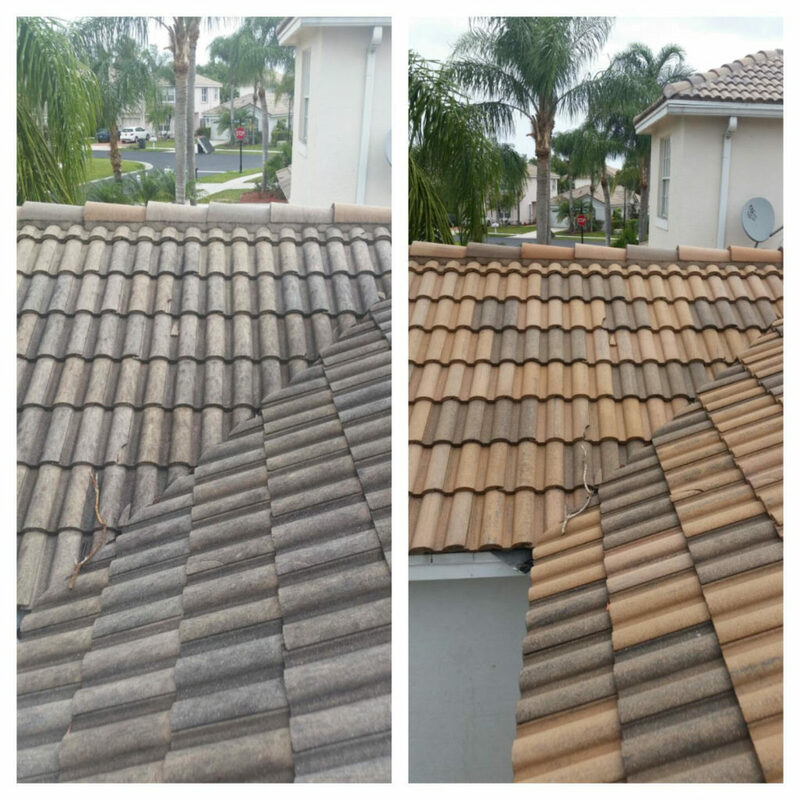 The black streaks are very likely to harbor a number of molds or fungi. 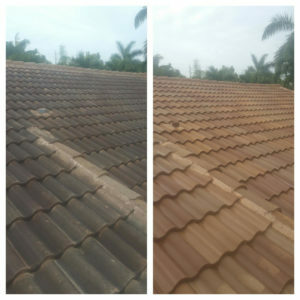 Fungi normally begin their life cycle as an airborne spore that settles on roofs, especially the asphalt shingle ones. 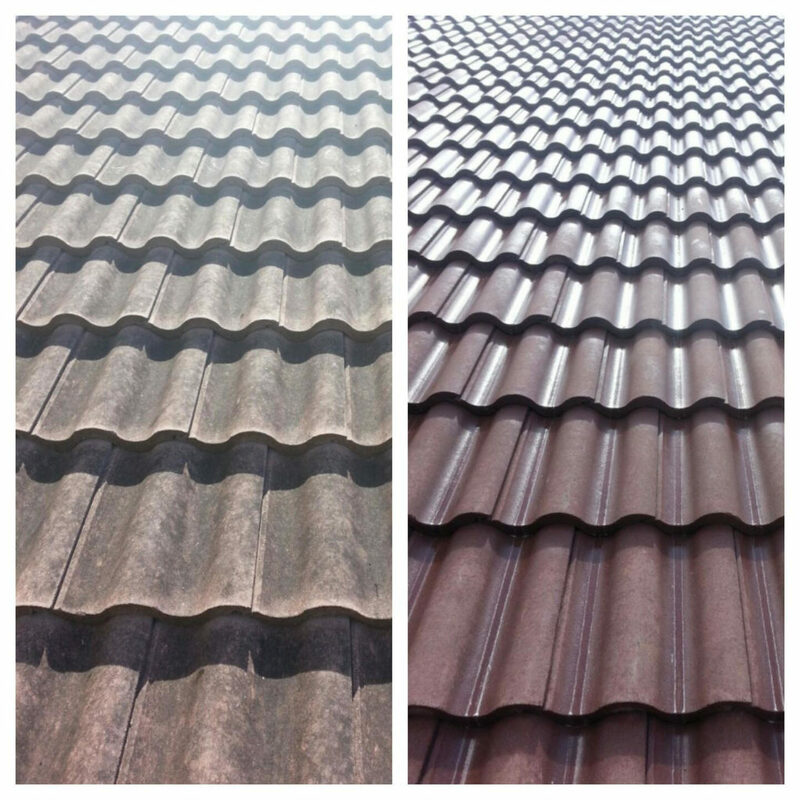 The spores on the northern exposure of the roof stand a better chance of survival because? 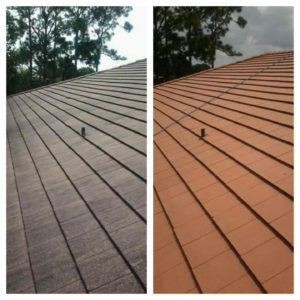 that portion of the roof is the last part to dry after a rain or morning dew. 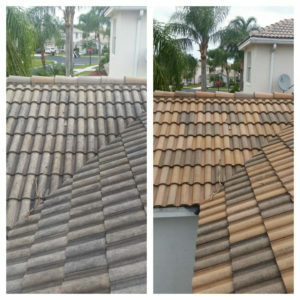 This raises the humidity on the surface of the shingle or tile, thus creating a perfect feeding and breeding ground for molds or fungi. Roofs are commonly replaced due to their appearance. If your roof has black stains, dirt, leaves, mold and mildew, Sunshine Pressure Washing can clean it with our unique Softwash Roof Cleaning. What is Softwash, You Ask?? Softwash Roof cleaning and pressure washing are two very separate techniques with very distinct equipment. Pressure washing a roof takes years off the roof life and voids warranties. 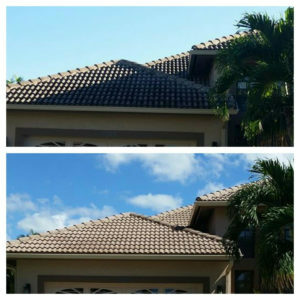 Sunshine Pressure Washing has the most up to date Softwash Roof Cleaning system coupled with the correct cleaning agents. 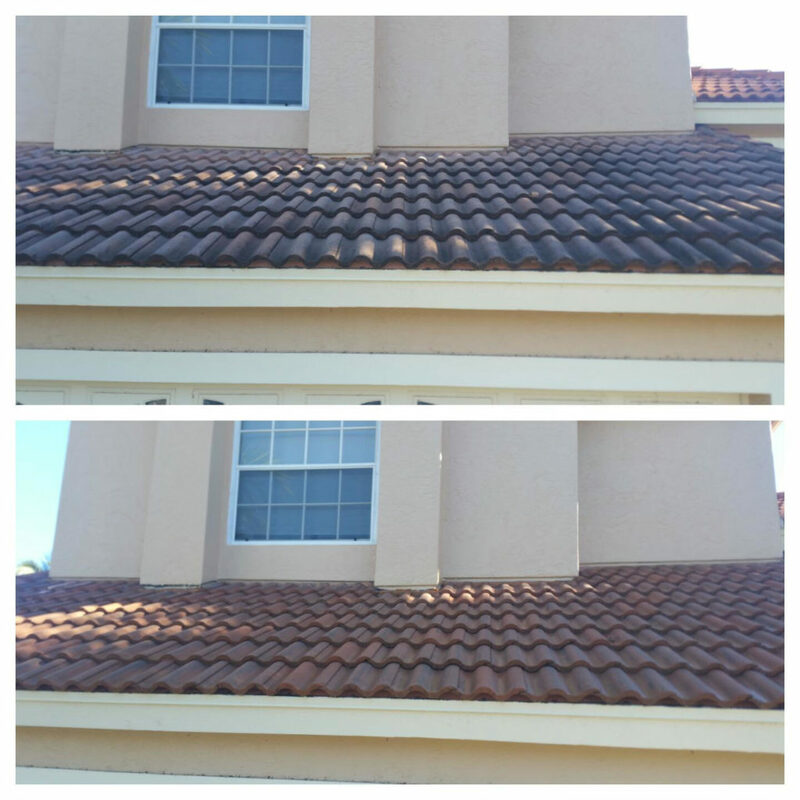 In fact, the correct chemical usage is the main facet in cleaning a roof properly. Pressure from the unit in the Softwash Cleaning System has very little to do with the end result. A Softwash System only delivers about 60 P.S.I, as much as a household garden hose. Most importantly, our cleaning method has been used for many years and has been proven safe and effective for, cleaning tiles, shingles and metal roofs. 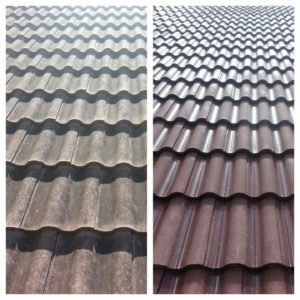 It could prolong the life of you roof while saving you money. 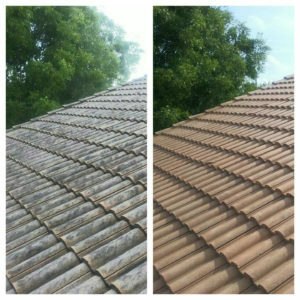 If you prefer the old fashioned method of roof cleaning using high pressure equipment we do also offer that service. 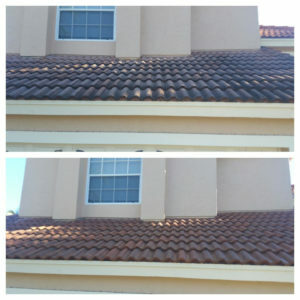 Sometimes choosing a company to clean your roof can be stressful and confusing. 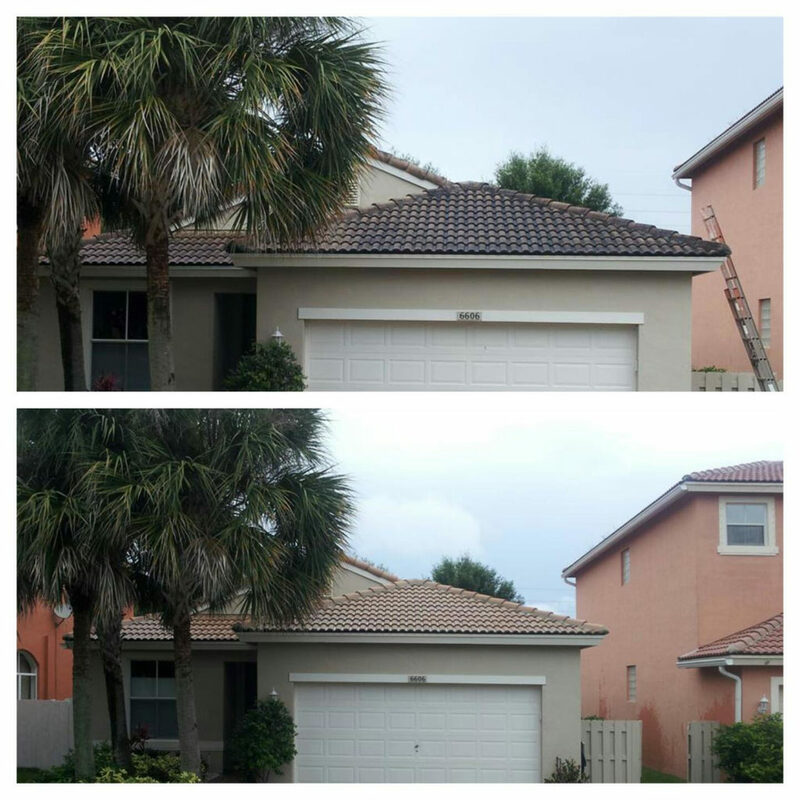 Our technicians are always willing to take the time to answer any questions you might have to help you understand the process fully. 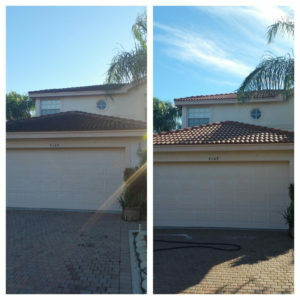 Sunshine Pressure Washing is licensed and insured putting your mind at ease. 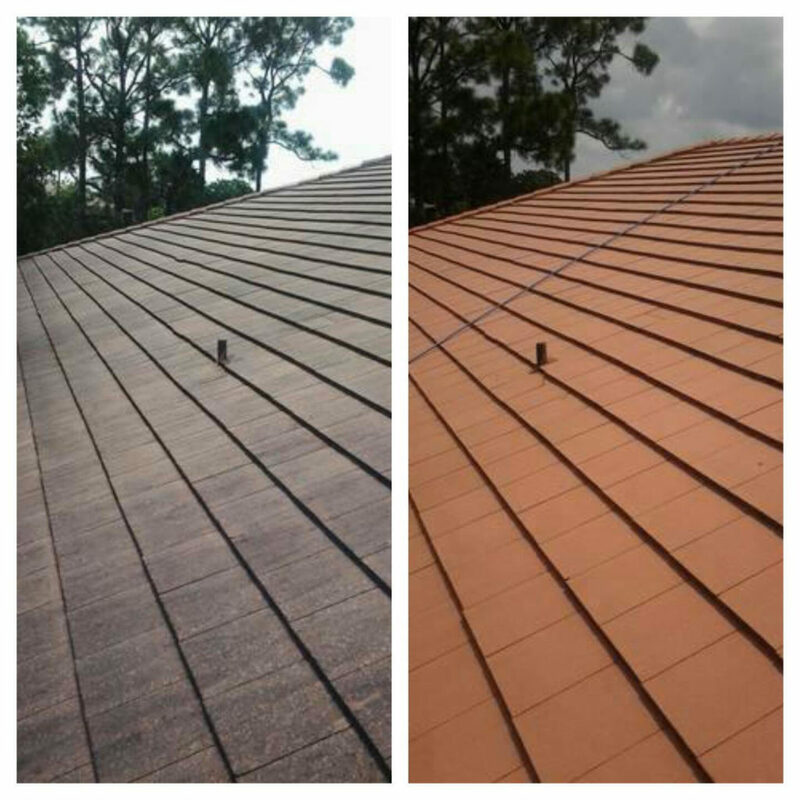 As a growing business, we strive at being the best at what we do and ensure exceptional customer service. 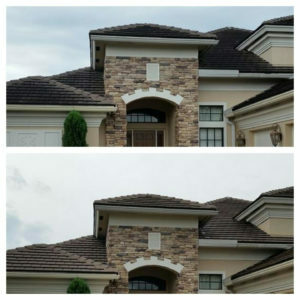 Many people spend countless hours and money repairing, upgrading and cleaning there home all year only to overlook one of the most important and visible area of your home, your roof. When choosing Sunshine Pressure Washing for your roof cleaning, you are not only improving the looks of your roof, you are preserving the life of your roof, saving you from thousands of dollars in repairs that could have been prevented. Thank you for taking the time to learn about us and our services. 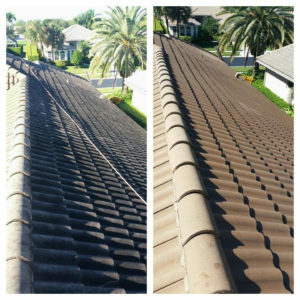 In appreciation please mention coupon code: FRDW and receive up to a 2 car driveway cleaning for absolutely free with any roof cleaning.